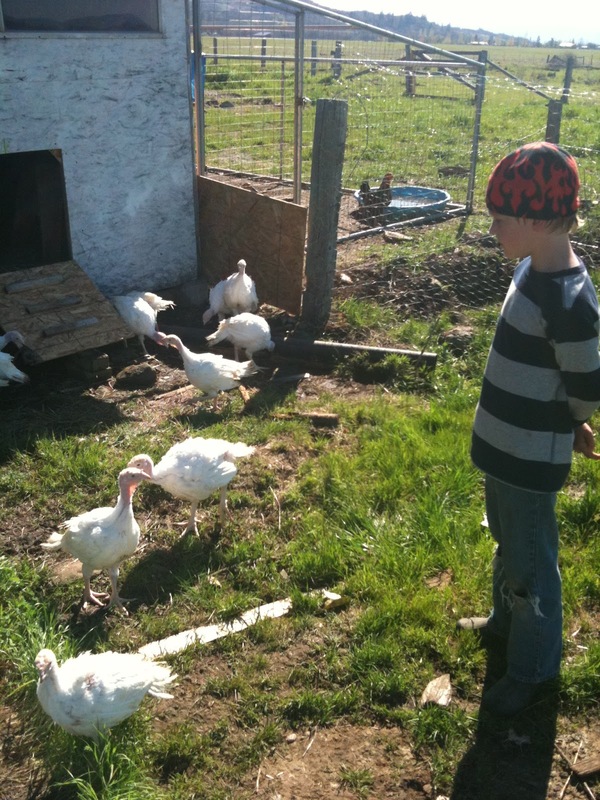 Turkeys and Chickens and Goats, Oh My! This is Dandelion, Dandy for short. 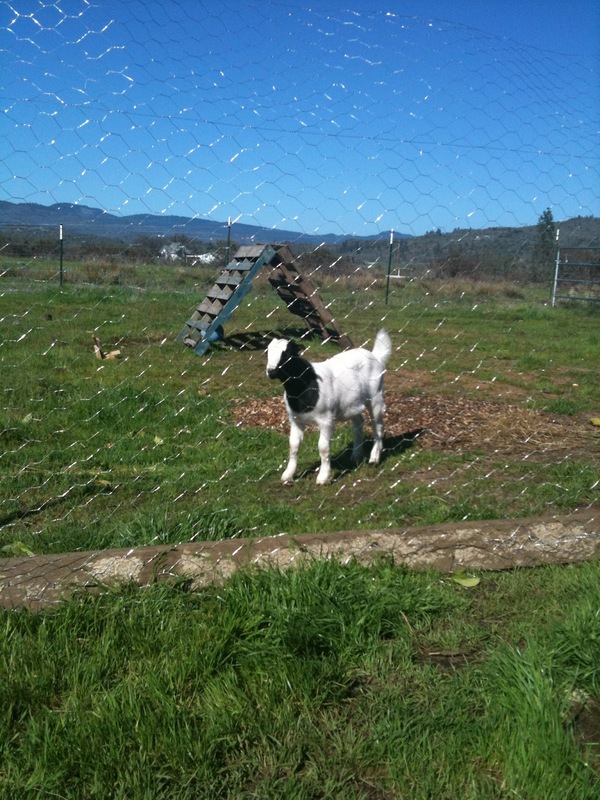 We have two other goats who didn’t feel like posing today. And so, Saturday is when I write about the Green Acres-ISH side of our lives. 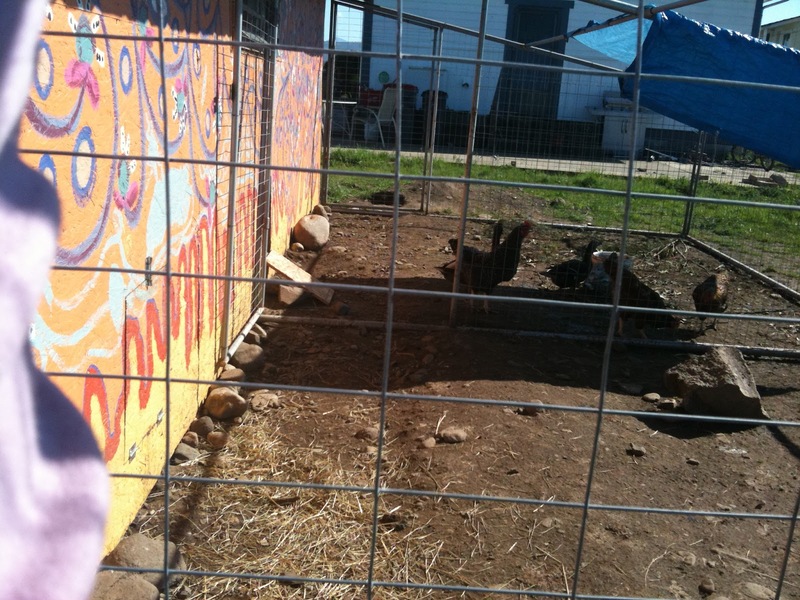 I hustled the turkeys into their new pen today – and yes, I had high heeled flip flops on. I still have not completely outfitted myself for the farm life, apparently. I was mostly weeding the garden today. We haven’t even planted anything out there except Strawberrries, which are coming in rather nicely, and already I’m having to weed ridiculously large tracts of land (Holy Grail has been a common theme this week, sorry – more on that Monday – when I share the artistic endeavors of my silly children). Today was the first gloriously sunny day for ages, and we romped around all day outside. It was wonderful. This evening was a New Moon, and we have a tremendous telescope my folks got Scott and I for our birthdays this year. It seems like the most perfect place in the world to view the stars all summer long with these wide skys and long views and no obstructions for miles. We need to learn how to use it. But it was fun to try it out for the first time. We are thinking that using it on a Full Moon might be a better start for our little guys – to see all the dips and valleys in the moon would be cool.